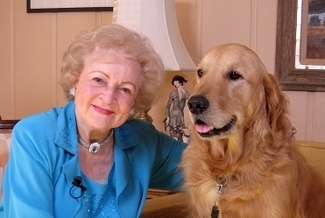 Earlier this week, Betty White announced she’s writing two memoirs , the second of which will chronicle her relationships with non-human animals. I was thrilled to hear it. Even though she’s pushing 90, White’s comedic timing hasn’t waned. She’s proven that old, funny, writerly ladies are hot. In my book, you’d think that’d be enough. But White has a secured a place in my heart Tina Fey and Janeane Garofalo – even if they’re hosting SNL at 105 – will never see. Betty White is an animal rights advocate. She’s been involved with the Los Angeles SPCA since the ’60s and helps fundraise for Wildlife Waystation . In March, White partnered with the Morris Animal Foundation to create the Betty White Wildlife Rapid Response Fund , dedicated to caring for animals in the event of natural disasters . Perhaps most famous of her animal-related endeavors, White sits on the board of the L.A. County Zoo. And about that, I have mixed feelings. Despite the arguments that zoos make kids more interested in – and sympathetic to – animals, I’m fundamentally against them (zoos, not kids). Even though improvements are being made in zoos around the country, there’s still such a very long way to go. So can one be an animal advocate and also pro-zoo? There are as many opinions and ways to support animals as there are humans. I believe all of us who are genuinely working on behalf of animals must, at the very least, listen to each other. In White’s case, it will be my pleasure.